Amateur snooker player John Sutton has been charged with breaching betting rules and suspended from competition. The World Professional Billiards and Snooker Association (WPBSA) charged Sutton after an inquiry into his 6-0 defeat by Jamie Burnett last year. "Under our policy, we treat any potential breach of our betting rules very seriously," WPBSA chairman Jason Ferguson said in a statement. There is no suggestion Scotsman Burnett was involved in any wrongdoing. After the inquiry was announced in September, Sutton told the Snooker HQ website: "All I can tell you is that I'm a snooker player who has always and will always try my best to win every match. "I have completely co-operated with the WPBSA on this matter and snooker means the world to me." Sutton was beaten in an International Championships qualifier in Barnsley in September 2014 with suspicious betting patterns reported. The WPBSA has charged the Irishman following consultation with the International Centre for Sport Security and the Gambling Commission. A date has yet to be set for the hearing. 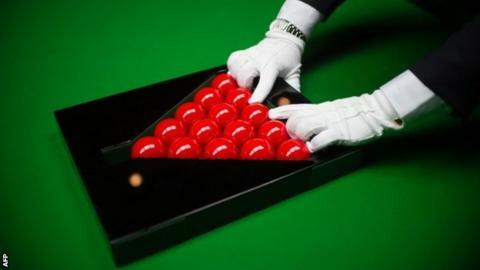 Sutton is not a WPBSA member, but was bound by its rules after accepting an invitation to play.